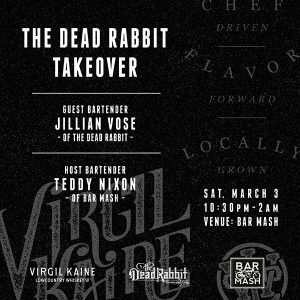 On Saturday, March 3rd, from 10:30 pm to 2 am, Charlestonians can experience a piece New York cocktail institution Dead Rabbit right here in the Holy City. 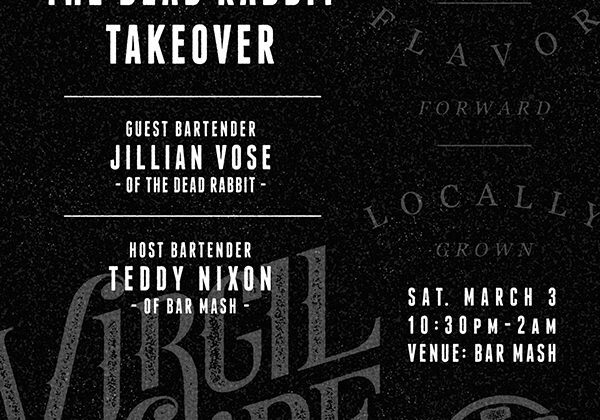 Teddy Nixon and the team at Bar Mash will welcome Dead Rabbit’s beverage director Jillian Vose behind the bar to pour craft cocktails and shots made with sponsoring local spirit brand Virgil Kaine Lowcountry Whiskey Co. 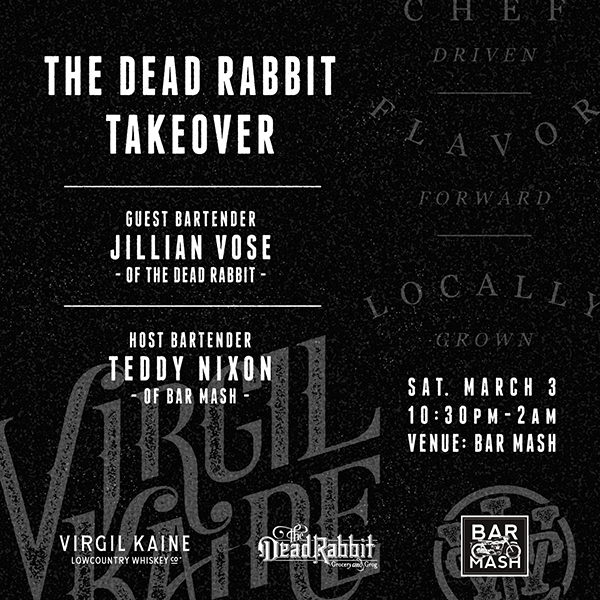 Considered by many to be the best bar in the world, Dead Rabbit is an Irish Pub with an internationally-awarded cocktail program led by Vose. 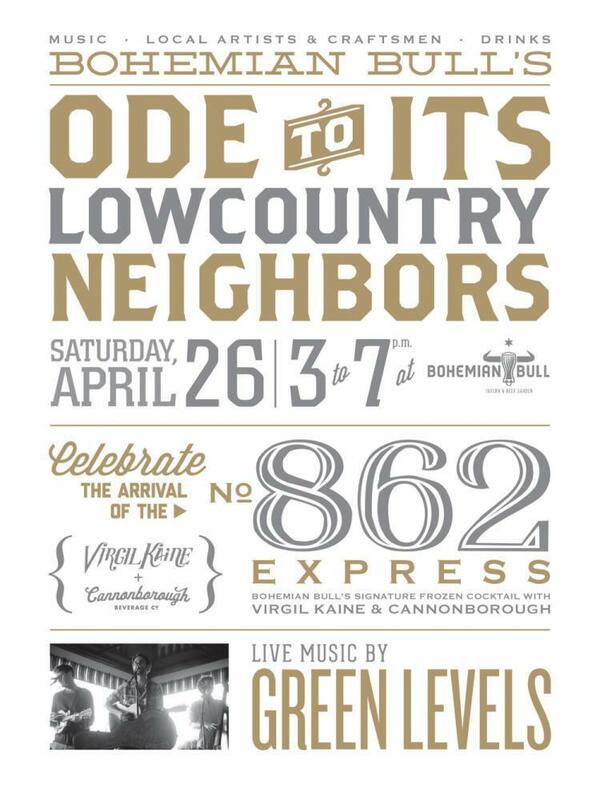 “I am very excited for my first time to Charleston," Vose said. "Teddy and I grew up in the same small town on Cape Cod and it’s an absolute pleasure to see his success in the bar community." 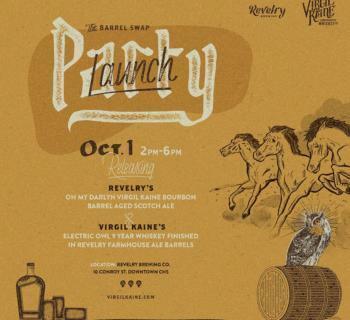 While behind the bar at Bar Mash, Nixon and Vose will offer a collaborative menu of cocktails made with Virgil Kaine’s rye whiskey and bourbon. Virgil Kaine giveaways will also be handed out throughout the night.